Thriller based on Mohsin Hamid's bestselling novel. A young Pakistani man living in New York finds his loyalties shaken after the 9/11 terror attacks. Changez Khan is a middle-class Pakistani from Lahore chasing his dream of success in a prestigious Wall Street valuation firm. He is favoured by his boss, and his future is looking to be on his planned upward trajectory - but whilst on company business in the Philippines, he watches news footage of the twin towers falling, and suddenly his future takes an entirely different path. Author Mohsin Hamid talks about his bestselling book. How long is The Reluctant Fundamentalist available on BBC iPlayer? 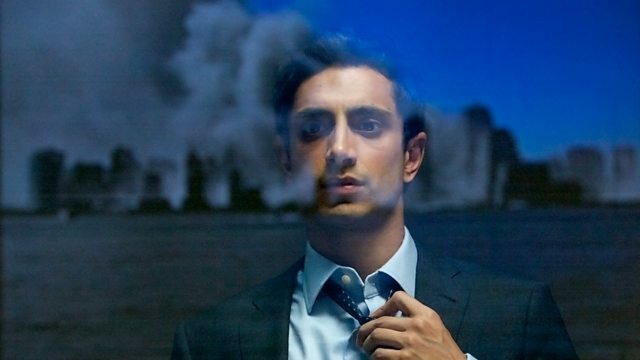 Nikki Bedi interviews one of Britain's most successful and outspoken actors - Riz Ahmed.